The furry roommates were suspicious about my housecleaning efforts last weekend. Perhaps they were concerned by all the talk of The Year of the Dog. I reassured them that we would not allow a drooling dog live in our home yet I wanted to make preparations for the arrival of the lunar new year and the Year of the Dog on February 16th. I did this by performing a winter cleanup, a ceremonial cleanse according to a local Feng Shui Master’s advice. In addition to writing things out as a form of therapy, I embrace and respect Feng Shui as the art of living in a clean, harmonious space. It also helps to break up the winter blahs and pull me out of the winter blues. 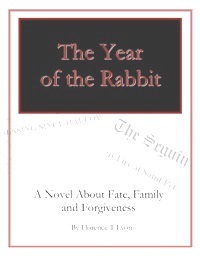 If you are familiar with my 2011 novel, you will understand my attraction to the Chinese Zodiac since my Muskoka childhood. Although I did not grow up in the same culture where they use this occasion to honour deities and ancestors, I find the Lunar New Year a good opportunity to cleanse, freshen one’s living space – and head space. So… how are you celebrating the Lunar New Year? To learn how my cleansing and reorganizing efforts turned out, you can read the details at my pen name’s blog. This entry was posted in cats, Health and wellness, Pets, writing and tagged blues, cats, Feng Shui, harmony, lunar new year. Bookmark the permalink.